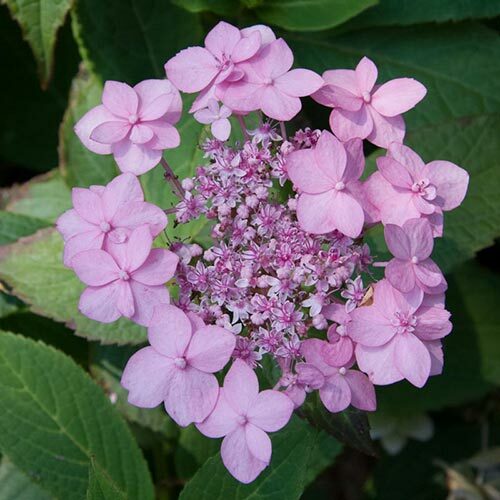 Unique CharactersticsMonrovia: The first reblooming lace-cap hydrangea! A superior rebloomer with sturdy, upright stems, heavier bloom, excellent flower color, and thicker, glossier leaves with excellent cold tolerance. 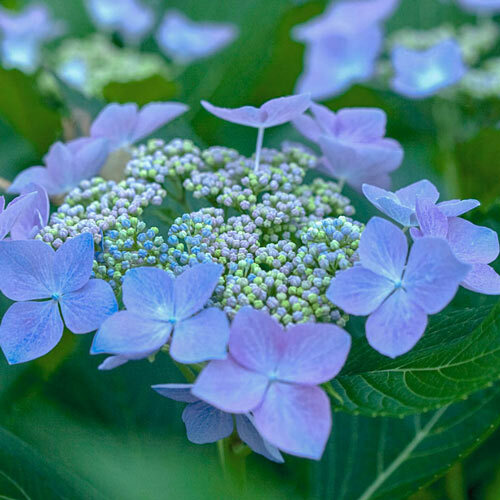 Elegant flowers transform from blue to lilac to pink with a change to soil pH. 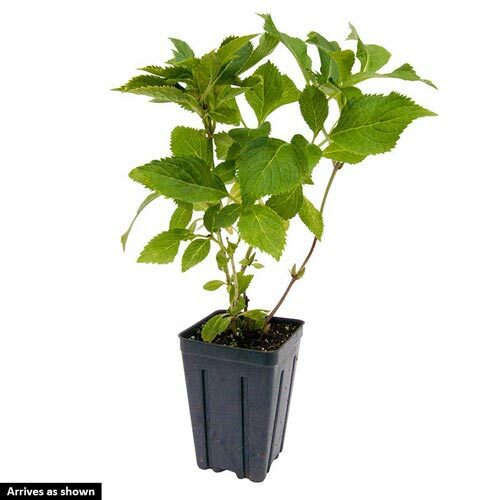 Stunning in mass plantings, containers or as a cut flower.